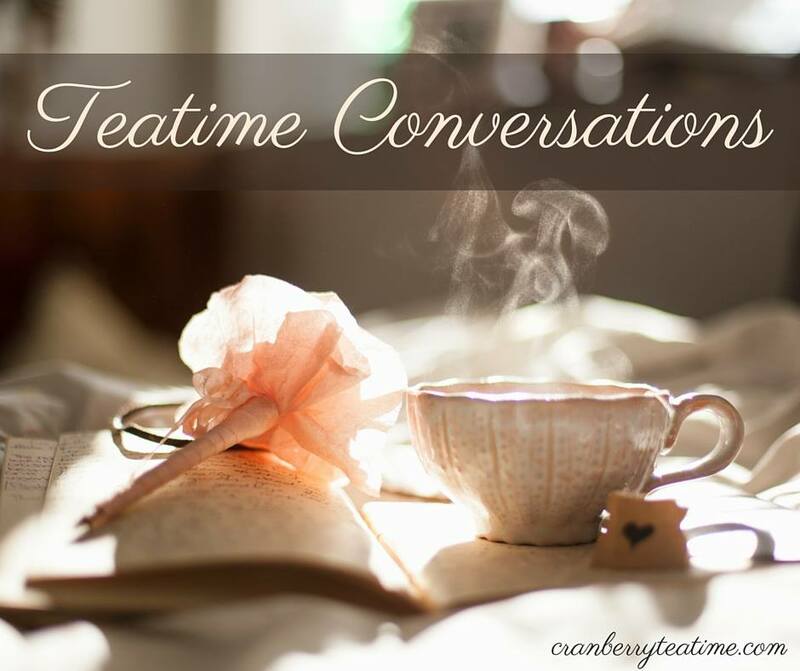 Cranberry Tea Time: Do You Have What it Takes to Hope? Do You Have What it Takes to Hope? This summer my husband preached a sermon about hope based on 1 Peter 1:13. I was not able to attend church to hear him preach, but I listened to his sermon at home. It encouraged me, and I asked Will if I could share it with all of you. He said that I could. Below you will find a link to an mp3 of his sermon, plus my sermon notes. May this encourage you today to have hope and to persevere! 3 Blessed be the God and Father of our Lord Jesus Christ! According to his great mercy, he has caused us to be born again to a living hope through the resurrection of Jesus Christ from the dead, 4 to an inheritance that is imperishable, undefiled, and unfading, kept in heaven for you, 5 who by God's power are being guarded through faith for a salvation ready to be revealed in the last time. 6 In this you rejoice, though now for a little while, if necessary, you have been grieved by various trials, 7 so that the tested genuineness of your faith—more precious than gold that perishes though it is tested by fire—may be found to result in praise and glory and honor at the revelation of Jesus Christ. 8 Though you have not seen him, you love him. Though you do not now see him, you believe in him and rejoice with joy that is inexpressible and filled with glory, 9 obtaining the outcome of your faith, the salvation of your souls. 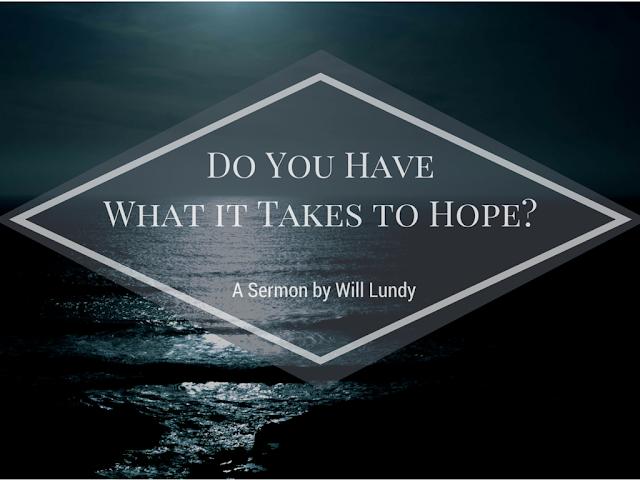 Listen here: Do You Have What it Takes to Hope? We are commanded to HOPE! Do not under any circumstances give in to despair. Hope. We are a people who are to be characterized by hope. Hope is an internal conviction that circumstances in the future will be more favorable than circumstances in the present. The object of a person’s trust or hope. It is that to which you look for refuge. Jesus is a shelter in the time of storm. Your refuge, the place you seek shelter, is your hope. How are we going to have the right kind of hope? How do we know what it takes to genuinely have hope? 1. Our hope needs the right occasion. The occasion of our hope is “the revelation of Jesus Christ” (v. 13). Our hope is in His Second Coming. 2. Our hope needs the right object. Our hope lies outside of us, and we are waiting for it to come. The grace that is coming to you when Jesus comes back is glory. Praise, glory, and honor is coming to you (v. 7). We suffer now so that we can later receive glory. The purpose of your current suffering is glory. 1 Peter 4:12-14 - Rejoice in suffering so that you also may be glad and rejoice when His glory is revealed. 1 Peter 5:1 - We are going to be partakers of the glory. 1 Peter 5:10 - We are called to His glory. Romans 8:17 - We are fellow heirs. We suffer with Him so that we may also be glorified with Him. Romans 8:29-30 - "...And those whom he predestined he also called, and those whom he called he also justified, and those whom he justified he also glorified." 2 Corinthians 4:17 - "For this light momentary affliction is preparing for us an eternal weight of glory beyond all comparison." Are you concerned about your comfort? Or are you concerned about your glory? If you are genuinely concerned about your glory, you will endure suffering with joy for the sake of Jesus Christ, and you will set your hope on this grace. This will be your hope, and you will cease to care even a wit about the accolades or the insults of men. 3. Our hope needs the right mindset. What does it take to have the kind of unbreakable hope that is commanded here? Our mindset has to be right, and it takes work. Despair is the default. We have to have a mindset that fights against that. What does it mean to "gird up the loins of your mind"? This is how you gird up your loins (link to the image Will shared during his sermon). Remove every encumbrance. Remove every idol. Remove every false hope. Be sober-minded. Be disciplined over your thoughts. Think true thoughts. Have intellectual discipline. Will you give in to despair and abandon Christ? Or will you steadfastly hope and set your hope in this grace that is coming to you?